Our mission is to provide fast, personable, professional, comprehensive and affordable online and offline services to individuals and corporations looking to achieve measurable, lasting results. Through our extensive experience, we have developed a unique system which encompasses nutrition, exercise, cutting-edge technology, motivational strategies and personal touch. Our vision is to transform and energize a client to go beyond their limits. Our promise is to provide the structure, education, accountability, and a one of kind lifetime experience of achieving your fitness goals. Body by Fadi is a health and fitness company which promotes health education and guidance for clients toward specific goals and needs by setting up programs designed solely for the individual through exercise, nutrition and food supplements. To date, Body by Fadi has been primarily a face-to-face or on-site operation. This is done through one-on-one consultation, individual and group training. Currently, services include fitness “coaching” or training such as proper fitness training techniques (form, intensity, duration, and frequency, etc.). Consultation includes in-depth education about nutrition and continuous reinforcement of healthy eating habits, which are motivated by using a specially developed Virtual Trainer. The client receives these services directly from a fitness specialist on-site. There are many online diet centers and online trainers available on the Internet today. Most of them are designed to respond to the client impersonally via automated response, based on answers to a series of questions. In those automated and unpersonalized systems, a client’s responses will place them into a category based on their “profile”. Then an auto-responder might forward diets based on the client’s category. Unfortunately, with this type of automated program, the client’s data is never evaluated by a live person, making it impossible to hear a client’s “cry for help” when it inevitably arises. That’s why Body By Fadi is so unique. 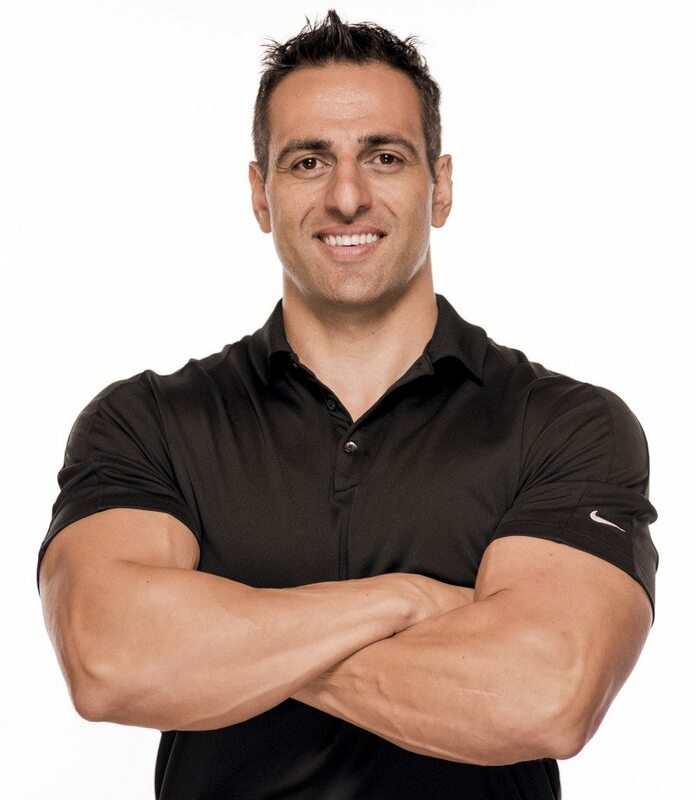 Celebrity Personal Trainer and fitness expert Fadi Malouf and one of his Fitness Professionals personally review each client’s profile and create customized meal plans and exercise programs that address each client’s personal health and fitness goals.